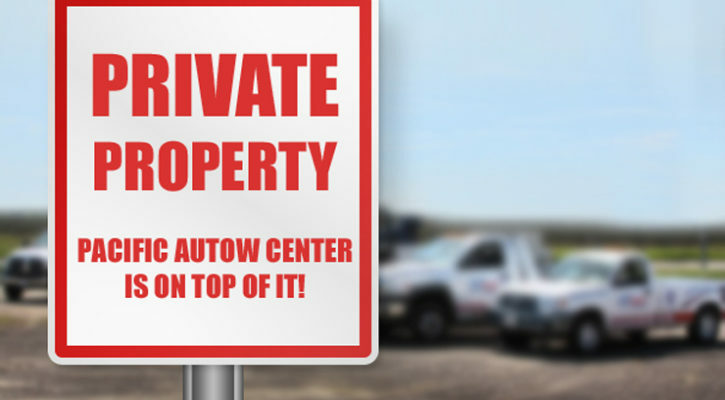 Pacific Autow Center is a well-established professional tow company centralized in San Diego County since 1985. We provide property towing service to sectors such as auto dealerships, body shops, private property removal, equipment and auto transport, and anyone else requiring our service. Pacific Autow Center is located in a well-groomed business neighborhood and its state-of-the-art appearance sets us apart from the rest. Based on 50 Car Garage with over 10,000 square feet of enclosed storage space, our yards are secured by 12-foot high block walls, remote gate entry and 24-hour security camera systems.